Promoting your website is one of the most crucial steps in the internet marketing business. You may have a highly animated, customized and descriptive web portal but if people are unaware about it then the entire act would be futile. To address this same issue, this post takes into account various steps you can voluntarily ensure in order to promote your website. The first category comprises of the Search Engine Strategies which would provide you with the much required organic traffic in contrast with the paid ads. Give a descriptive and engaging title to your page, rich with keywords. The title appears hyperlinked on the search engine page whenever your web page is found on the website thus enjoy the organic traffic generated by suitable keywords. The description below your hyperlinked title is observed by certain search engines, thus use proper Meta description filled with key words and key phrases. Note that you can use a maximum of 255 characters for Meta tag and only the first 60 of it will be visible in Google. Thus make the most of it. Certain designers do not use a Header tag which is a big mistake. Make sure your designer uses header tags, desired keywords and key phrases in the same, as Search engines definitely consider it. People usually give a big introduction in the starting and though a build up is required, but to ascertain more traffic to your portal make sure to use keywords in the first paragraph. Though don’t over stuff it. Inclusion of keywords must appear natural and in flow of the writing. Smartly describe each and every image and include the keywords in the ALT attribute of the image tags. To attract search engines include the keywords and key phrases in the Hyperlink. Creating a site map is required especially for a large website. A well defined site map with links to your pages helps search engines and users to find all your pages. You may use free tools like XML-Sitemaps.com to create XML sitemaps which are referred by the search engines. Also submit your site map to Google, yahoo and Bing to ensure more traffic. Include the contact details etc of your local business on your web page. Also create a free listing for your local business on Google Places for Business (places.google.com/business), Yahoo! Local (local.yahoo.com), and Bing Local Listing Center (https://ssl.bing.com/listings/). Google’s universal search not just display the webpage content, but also often displays the list of images, videos etc if it is near the top of the page. Thus if you upload relevant videos etc, which attracts a user and your website is mentioned in the video page, it will bring in more users to your website. The next category discusses various Linking Strategies. Links of your site on other sites drives additional traffic; search engines consider the number of incoming links to your website, called as link popularity and it helps in ranking of your portal. A directory is not a search engine. Rather it lists the sites in various categories. Ensure to list your site in the free Open Directory Project. A link from a directory will boast up your ranking and will get you more traffic. There are generic directories and then there exist industry specific directories focusing on a particular industry like education or finance. Make sure to submit your link in the same even if you have to pay a little for it. Find websites in your general niche and solicit a reciprocal link to your site. Also, if convenient then develop an out-of-the way page where you put links to other sites so that you hold the attention of the users visiting your web page. Write articles in the area of your expertise and distribute them for free to various editors who would then include it in their newsletters etc. Just ask them to include a link to your website and one line description of the same in the newsletter and you’ll be able to drastically increase the traffic to your site. if you find a considerable event to create news on, offer newsletters to print and web periodicals. Promote your website by mentioning it in the same newsletters. The next category discusses means to promote your website through social media like blogs, social networking and etc. Begin a business blog on your own domain and if you are able to provide with excellent content and witty comments, your page would get a higher rank on the search engines and you would get more visitors to your profile. Fervently promote your website on the social networking platform. Join Twitter or Facebook etc and share the information about the website, various posts etc to get more attention from the users. There are many social groups and online forums available over the internet. Become an active member of the same and subsequently promote your web page. Don’t bother with the spammers; only invest your efforts where some serious dialogue is taking place. use widgets like AddThis etc to suggest users to book mark your page and hence ensure a steady traffic. Display your URL’s on various stationary products and business cards. While printing avoid the complexities and just provide a simple www.domain.com link. Don’t underestimate the traditional print media and include your URL in any display classifieds, newspaper yellow pages etc. Offer some free services in the context with your business and tempt them to purchase the entire product. Further we shall discuss some of the E-Mail Strategies to promote your portal. Install the signature in your e-mail and supplement it with all the information to mail the people aware about your portfolio. Though it requires some undivided attention to create newsletters but publishing it on a monthly basis would help you stay in touch with your customers and collect e-mail ids of the ones who are not yet ready to make the sales. include subscription forms on each page of your website. Promote the same by offering certain free services like “special internet only offer” etc. Perform the task to initiate, remind, confirm or thank the person. Wish them on their birthdays, anniversaries etc and develop a loyal clientele. Promote trade relations by offering special offers to a loyal clientele. Reach out to a wider user base by exchanging e-mail lists, professionally though with your fellow web owners or bloggers. In addition, here we would discuss certain Miscellaneous Strategies for the effective promotion. People enjoy contests. 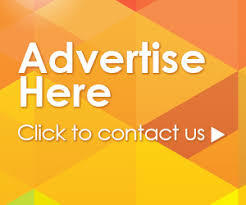 Advertise the same on your website or blog and you are most likely to increase the visitor list. Though there is an investment of time and energy in all the above approaches, if you want to quickly promote your business opt for various ways of paid advertising like cost per thousand views, pay per click, pay per action or cost per action etc. MarkupBox.com is a specialized PSD to HTML Conversion Company, backed with years of experience and diligent professionals. We also offer software implementation service like PSD to WordPress, PSD to Magento, PSD to Joomla and PSD to Drupal and much more.